Huawei Y9 2018 smartphone was launched back in 2018 and now almost after a year, the device is available consumers globally. 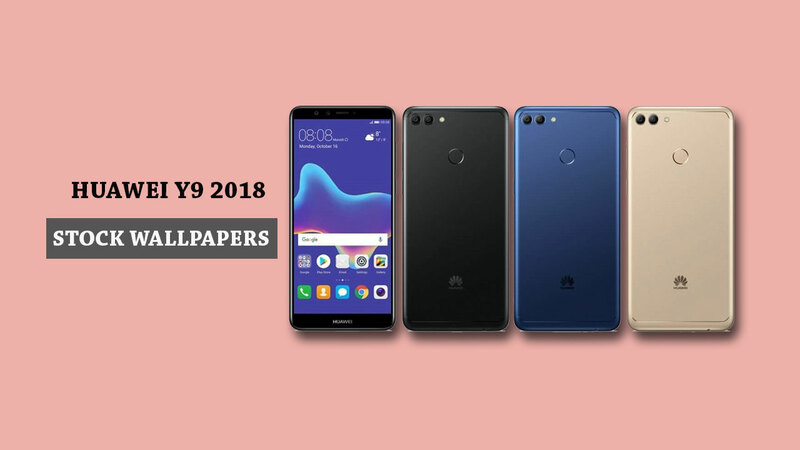 Here in this post, we will share with you a total 4 Huawei Y9 2018 Stock Wallpapers in an FHD+ resolution. All the wallpapers are in 2160×2160 pixels resolution which you can directly download from the bottom of this post. But before going to the topic, let’s take a look at the device specifications in brief. The handset comes with a 5.93-inch 1080×2160 pixels resolution display, features an 18:9 aspect ratio. The device is powered by HiSilicon Kirin 659 SoC along with Mali-T830 MP2 GPU. The Huawei Y9 2018 packs a 3GB/4GB of RAM and 32GB/64GB/128GB of internal storage, storage can be expandable up to 256GB via a MicroSD card. The device is running on Android 8.1 Oreo-based on EMUI 8 out-of-the-box. It sports a dual rear 16MP+2MP cameras with an LED flash and a dual 13MP/16MP+2MP selfie cameras on the front. The device includes all the major connectivity options like Wi-Fi 802.11 b/g/n, Wi-Fi Direct, Bluetooth 4.2, A2DP, LE, aptX, GPS, A-GPS, GLONASS, BDS, FM radio, micro USB 2.0, a 3.5mm audio jack, etc. While a few of the sensors are also available like fingerprint sensor, accelerometer, gyro, proximity, and compass sensor, etc. Packs a 4,000 mAh battery. All the 4 stock wallpapers are in 2160×2160 pixels Full HD+ resolution quality. You can download the wallpapers in zip format and extract it on your device. Then simply search for the wallpaper from the gallery app and set it as your home screen or lock screen easily. All the wallpapers will fit into any 18:9 or higher aspect ratio device very easily. Just download the wallpapers from the below link.